Sally commenced her career in the theatre, studying acting at the Guildhall School of Music and Drama. She still performs regularly as a member of the Parliament Choir. She has a BA Honours degree in English Literature from the University of London and a Masters degree in Business Administration (MBA) from Henley Management College. She holds a further degree in Theology for Christian Ministry from Christchurch University Canterbury and a Certificate in Applied Christian Theology from the University of Kent. Up to the time of her ordination Sally served as churchwarden of St Andrew Tilmanstone, her local parish church near her home in Kent and took services regularly across the Eastry and Woodnesborough Benefice in the Diocese of Canterbury. Sally was voted Voluntary Sector Achiever of the Year in the Dods Scottish Widows Woman of the Year Awards 2007. In October she was presented with the World of Difference Award 2015 by The International Alliance for Women (TIAW) in Washington DC. "Time and Eternity" Nicholas Flynn. "Conversion: The Spiritual Journey of a Twentieth-Century Pilgrim" . "Seeing Through The Eye: Malcolm Muggeridge on Faith", Cecil Kuhne . "Chronicles of Wasted Time", her uncle's famous and acclaimed autobiography, "Something Beautiful for God" republished in 2009 by Lion Hudson. Sally is a former senior business woman, now a priest very active in church ministry in the City of London, currently serving as Curate at St Stephen Walbrook adjacent to Mansion House. Her church also operates as the London Internet Church and her sermons are available to listen online. Within the Diocese of London she has also preached at St Bride's Fleet Street, St Paul's Cathedral and St Alban's Golders Green. She is the niece of the late journalist, writer and Christian apologist Malcolm Muggeridge and she was in Rome for the canonisation of Mother Teresa who her uncle interviewed in 1968 before her work was known outside of Calcutta. Sally preached at King's College Chapel in February 2017 on Saint Teresa of Calcutta as part of their Women of Spirit series. 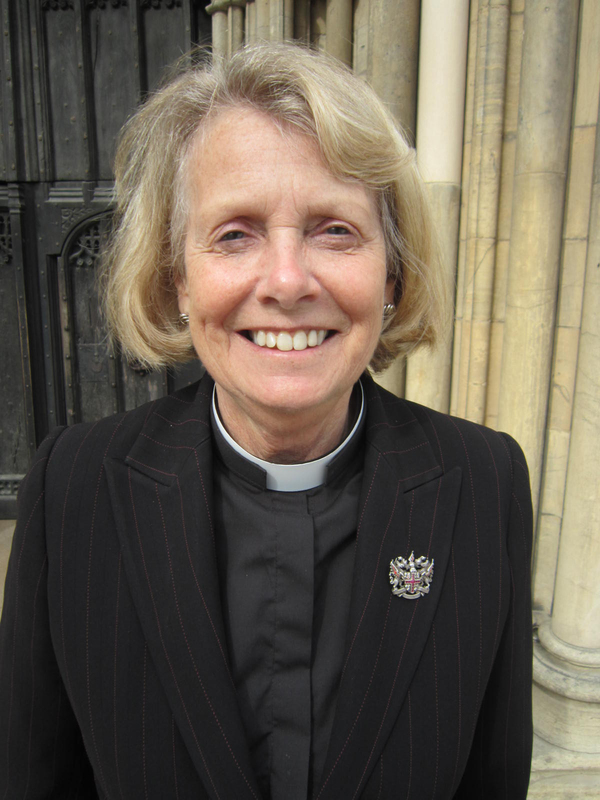 A major influence in bringing Sally Muggeridge to ordained ministry after her successful business career has been Archbishop Emeritus Desmond Tutu who has known Sally well since 1963. They originally met through Tutu being Curate of Sally's local church, St Alban's Golders Green whilst studying at King's College London. In her teens Sally regularly babysat for Desmond and his wife Leah. They have have in regular contact ever since, meeting regularly both in South Africa and in England, and visiting each other's homes. Sally is a contributor in Tutu, The Authorised Portrait. In 2013 Sally was instrumental in arranging for the Archbishop to receive the Honorary Freedom of the City of London Sally writes, speaks and presents on marketing, human resource, religious and business issues. An experienced broadcaster, her views are regularly sought for BBC Radio and television. As an ordained priest, Sally has presented BBC religious programmes on Radio 4. Having originally trained as an actor (still maintaining full membership of the actor's union Equity) she is an experienced presenter and chairman of events. She has been a strong advocate for the advancement of women both in business and in the church. She was an elected lay member of General Synod in the House of Laity representing the Diocese of Canterbury from 2010-15. Sally served as a Governor of the Church of England with a specific interest in the Committee considering the future of redundant churches. Elected as a Church Commissioner by laity she necessarily left this office upon ordination and taking holy orders. A long term committed Christian and preacher, Sally was successively licensed as an Authorised Lay Minister (ALM) and Licensed Lay Minister/Reader (LLM) serving in the Diocese of Canterbury prior to serving as a priest in London..
Sally Muggeridge has a substantial business background. A former Chief Executive of the Industry and Parliament Trust, she has skills and professional recognition in both marketing and human resource development. In a varied career Sally has worked at Board level in several major international plcs including British Telecom, Cable and Wireless, Pearson and Total. She served as Master of the Worshipful Company of Marketors in 2013/14, a livery company of the City of London. She continues her interest in the Livery serving as Chaplain to the Lady Masters Association and on the Committee of the Great 13 Association. In July 2013 Sally was awarded the accolade of Honorary Life Membership of the Academy of Marketing "in recognition of extraordinary and distinguished services to Marketing". Holder of the CIM's President's Award, she has served as Executive Vice President of the Chartered Institute of Marketing and has also sat on the CIM's Academic Senate. Whilst working in the Asia Pacific region for Cable & Wireless she was President of CIM Singapore. She is a former member of the Chartered Director Committee for the Institute of Directors, of which she is also a Fellow. Sally has been married for 48 years, has three adult children and four grand-children. She has homes in London and in Kent. Further information available in biographical listings to be found in Who's Who, Crockfords and the Church of England Year Book.